Search Engine Optimisation (SEO) is the method of improving the quality and the quantity of traffic to a website. It’s a marketing strategy which helps a website get better rankings in Google and other search engines such as Bing and Yahoo. However, the main focus is on Google, as it is the most used search engine. The idea is to drive organic traffic to a website as much as possible by providing Google with the most relevant content. 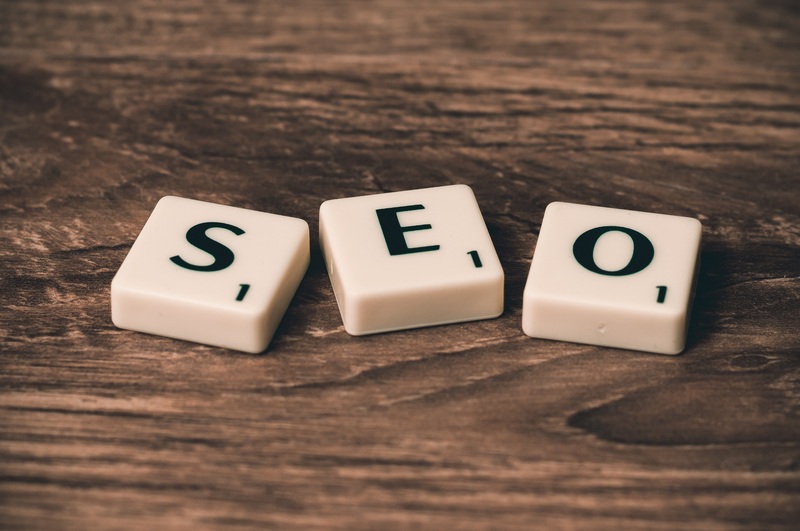 SEO in the most basic terms, is creating a site and content which will help Google rank it highly, allowing relevant people to find the content and the website. SEO on a basic level is pretty straightforward, however to fully understand it and reap the rewards of an optimised site, you must invest time in learning the secrets of SEO. Remember the primary focus is creating content for your audience, then using SEO to help expand your reach. Here are some tips on optimising your site, ensuring better rankings and increasing organic traffic to your site. Meta keywords – When it comes to keywords there are many tools you can use to see which the most popular ones are, including Google AdWords. You will also want to focus on a limited number of them, and keep them specific to your content. Meta description – Is an extension of your keywords, and it gives a brief summary of your content for Google to understand what your content is about. Title tag – The title tag is what shows up as the title of your article, again it lets the search engines know what your article is all about. Subheadings – This helps Google to determine exactly what your content is about and headings and subheadings help them do this. It’s not enough just to bold your subheadings, make sure you use HTML code for example, <h2> subheading</h2> because then the search engine will know its a subheading. Image name and ALT tags – A lot of the time, people forget that pictures are a key part of the content. If you give Google details to understand what the image is about, it will likely come up on Google images, again driving more traffic to your website. Internal links – Linking to other pages on your site is a great way of connecting your website and again letting Google know what specific pages are about. There are many benefits of having a mobile optimised website, from the increasing number of mobile users to Google making mobile responsiveness one of their ranking factors. Having a site that is mobile responsive has therefore become essential for the SEO of a website. Consumers are using their mobile phone more and more to make purchases and surf the web, therefore having a mobile responsive website is imperative. Having a mobile responsive site allows users to experience the website as it would be experienced on a desktop, and Google has made it clear that not having a mobile responsive site could see your website being ranked lower. So to ensure that you are ranked highly, make sure that your website is mobile friendly. Site speed is another factor that Google uses to rank your website, so you need to make sure that you are regularly checking and reviewing your website for any delays on the load time. Speed is key for users, as if a website takes too long to load then it is highly likely that the user will give up altogether and visit another site. Ensuring a good user experience will help you be ranked highly by Google. One of the biggest reasons that pages are sometimes slowed down is by the images featured on a page. If images are too big they can slow the speed of the page down considerably as they hold 50/60% weight of a page. To make sure that you are regularly reviewing the speed of your website, you can use the following tools: GTmetrix, Page Speed Insights by Google, Pingdom Website Speed Test, and Mobile Website Speed Testing Tool by Google. Link building is the second half of SEO and is probably the most difficult, as it requires links to your website to be featured on other relevant websites. The main aim is to get other websites to link back to yours, the more relevant the website, the better the quality of the link. The anchor text also plays a part; anchor text is the text that the link is attached to. You want to use the right keywords as the anchor text, as this will help you be found for the relevant terms. There are a couple of ways in which you can get links, the best kind of links are organic links. For example, if you have published a survey, people may link back to your survey if they are talking about it in their article. These links are great because they are relevant and you don’t have to pay for them or spend time seeking them out. However, it is very difficult to get organic links to your site, therefore link building is a popular phenomenon in the SEO world and companies pay good money for the service. Guest posts – One of the best ways to get links back to your website is by submitting guest posts on relevant sites. You should make sure that they will link back to your site, which they usually do when listing the author of the piece. This can be a lengthy process, however investing time in it will benefit you in the long term. Commenting on relevant news – If you are an expert in an industry or have sufficient knowledge, then you might want to comment on relevant news and offer it to journalists. This can be a great PR technique to get exposure and perhaps a link. Partner links – If your business partners don’t have a partners section on their site, encourage them so you can get a link back to yours. Press releases – If you carry out research/survey, send it as a press release to all relevant contacts. Then if they use the data ask them to give you a link back. When you are working on an SEO strategy it’s a good idea to use SEO tools such as Google Analytics in order to get data, showing how well your website is performing. Google Analytics is great because it allows you to see data in real time and there are multiple things that it can tell you about your website. Some of the most frequently used data you can find on there includes: the amount of people visiting your site, how long they spend on a page, which pages perform better than others and where your audience comes from. These are some basic data fields that can help you decide where you are in terms of traffic, how implementing SEO changes can affect your site and what kind of realistic SEO targets you should be setting. Another great site to get data on your website is MajesticSEO which lets you see a regularly updated database of how many backlinks your site has. Offpage optimisation is essential in optimising your site, and the more quality websites that link back to your site, the better. You can access all the websites that link to your website, decipher the quality of them, as well as discover what anchor text they are using. Seeing the numbers can offer you an incentive to work harder on getting links to your site. Other helpful SEO tools you might consider using include Moz, SimilarWeb, SEO Web Page Analyzer, and the Neil Patel SEO Analyzer. You can also use these tools to search your competitor sites and compare to your keyword data with theirs. This will give you an idea of where they are doing particularly well and where you can potentially improve. Keep in mind the most effective SEO tool is ultimately creating quality content. Whether you are writing about a new product or about baking cakes, your audience is key. You need good quality content relevant to your keywords, so the search engines can rank you higher for them. Some of the top websites have a ‘blog’ section, where they can regularly upload content to their website. Regularly uploading content sends a signal to the search engines that your site is up-to-date, which helps with the SEO of the whole site. There is a variety of content you can create to publish on your website including blog posts, videos, tutorials, guides, industry articles, interviews, news stories, podcasts and infographics. Creating good content can cost time and money, however it is an investment which is likely to pay off in terms of increased organic traffic to your website. More growing your business and SEO.